With the rise in home burglaries, home invasions, and general violence in our world today, our homes are no longer the sanctuaries they used to be. No matter where you live in the U.S., you’ve probably heard of dwellers in your city who have experienced either a home burglary or other violence at the hands of a stranger. But it doesn’t have to be that way. Your home really can be your sanctuary – as it should be. Here are some tips on how to make sure your home remains your castle! 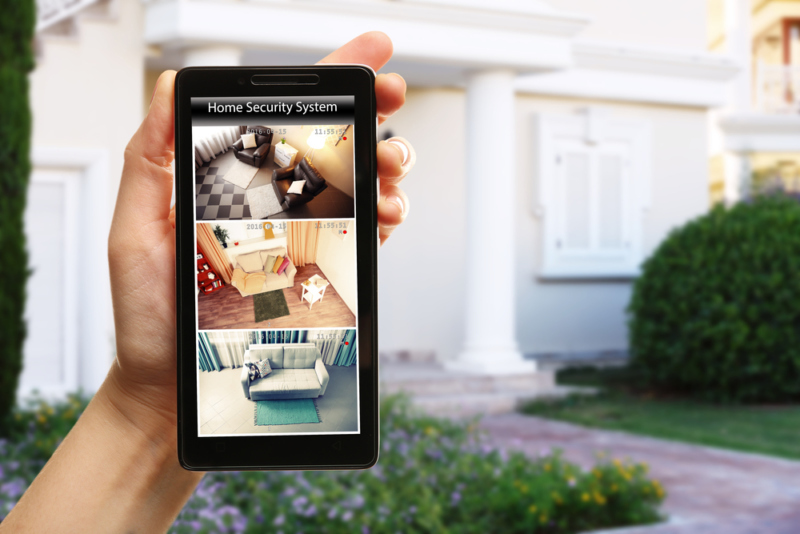 A state-of-the-art security system is the best defense against would-be thieves. There are many different companies, with several different options to choose from. For example, ADT packages include features such as 24-hour monitoring, web and mobile access, yard and house signs, cameras and more. A system can give you peace of mind when you’re away on vacation for two weeks, or just at work for the day. If the unthinkable happens, and someone breaks in while you’re away, police will be called to your residence on your behalf. If your house is shrouded in darkness, it will be much easier for burglars to do their dirty work. Timers and security lights give your home the glow it needs, both inside and outside. Timers can not only turn on lights but also radios and televisions, too. Motion sensors can work with security lights outside so you’ll know when someone approaches your door. When thieves think there is someone inside, or that someone might see them from across the street, they will quickly move on to another target. If a thief thinks he will be well hidden, he’ll be more likely to choose your house over your neighbor’s. Trim your bushes and hedges, keep your windows and doors locked, and install a fence. Store all of your outside valuables, such as your BBQ, lawn mower, etc. in your garage. In other words, don’t make it easy for thieves to get access to your stuff. Some of the top items burglars look for are cash, jewelry and electronics, so keep these secure and don’t make them easily visible from your windows. Remember that thieves want to complete their work as quickly as possible, and if they think it will be a hassle, they’ll move on. Get to know your neighbors and organize a neighborhood crime watch in your area. Crime rates tend to be lower in close-knit communities because neighbors watch out for each other, and strangers are easily spotted. Also, if they different work schedules than yours, they may be home when you’re not, and vice versa. Securing your home doesn’t mean you have to feel like you’re living in Fort Knox; but there are some simple, common sense measures you can take to cut the risk of having your home burglarized. If the unthinkable does happen, don’t despair. Seek the help and support of friends, family and those in your community. Following the above tips will cut your risk significantly, but nothing, unfortunately, is foolproof. Be as diligent as possible and know who belongs in your neighborhood and who doesn’t. All of those things will help cut the risk significantly.